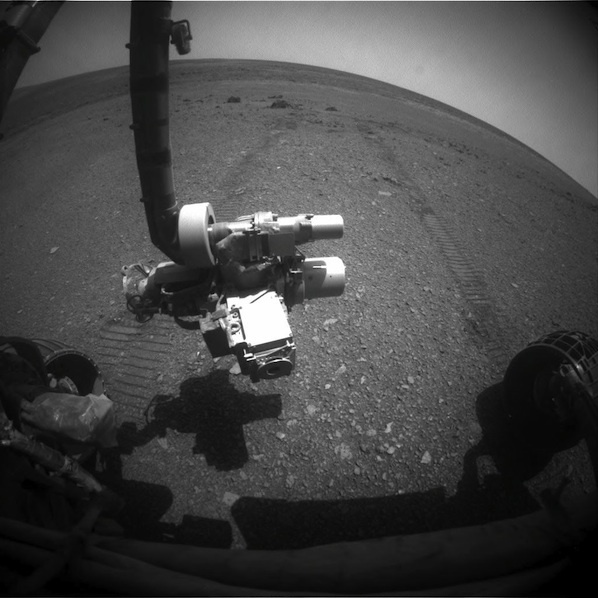 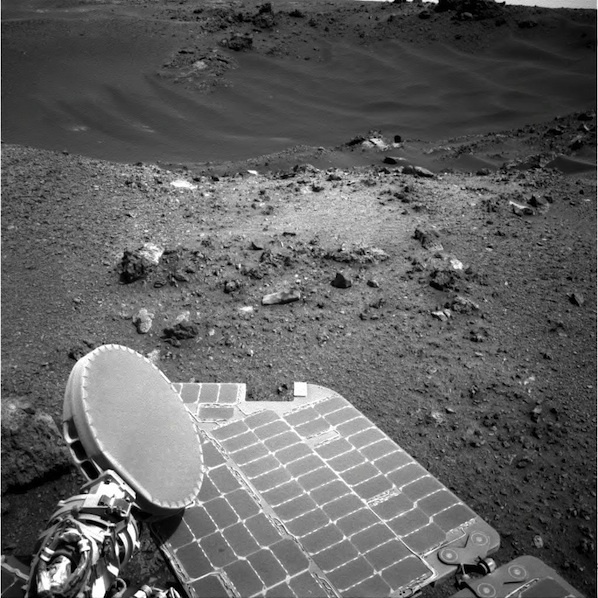 Two weeks after arriving at the rim of Endeavour crater on Mars, the Opportunity rover has begun scientific observations at a locale unlike any other the veteran robot has ever visited. 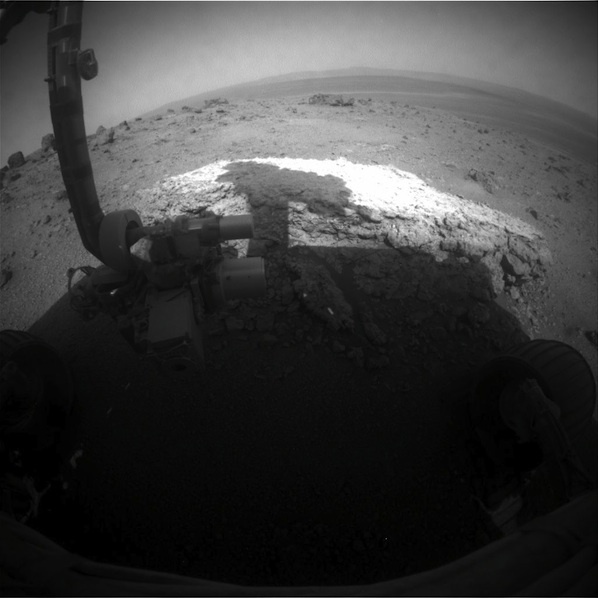 These images chronicle Opportunity's last week of movements around a small crater named Odyssey on the edge of the much larger 14-mile-wide Endeavour crater. 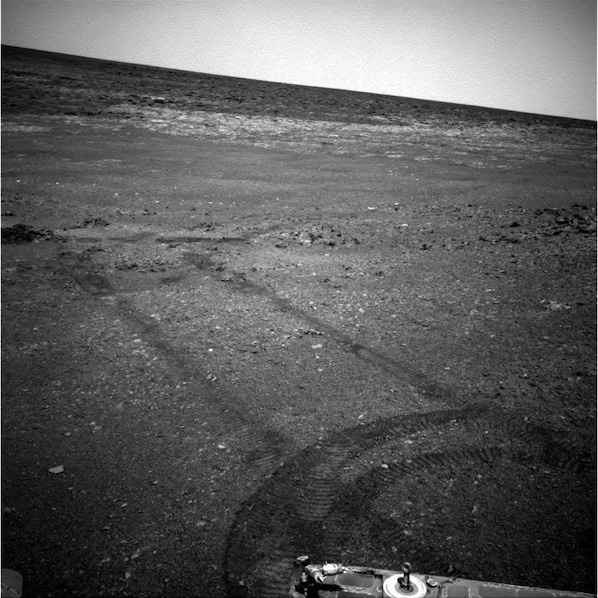 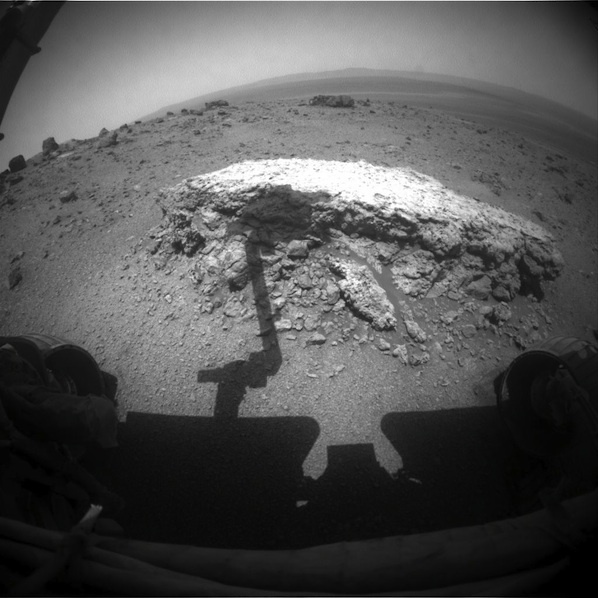 Driving in reverse to compensate for a broken wheel, Opportunity backed up to a slab of rock named Tisdale, spun around 180 degrees and presented its robot arm to the target for further studies. 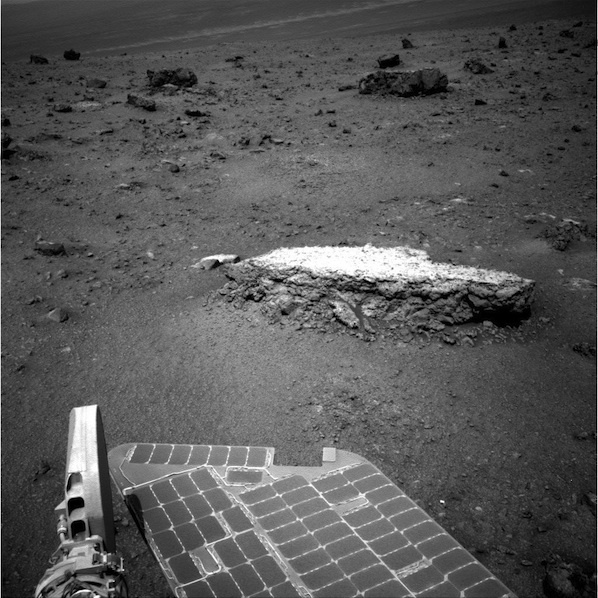 A microscopic camera and other scientific gear at the end of the arm will try to reveal the rock's make-up and history. 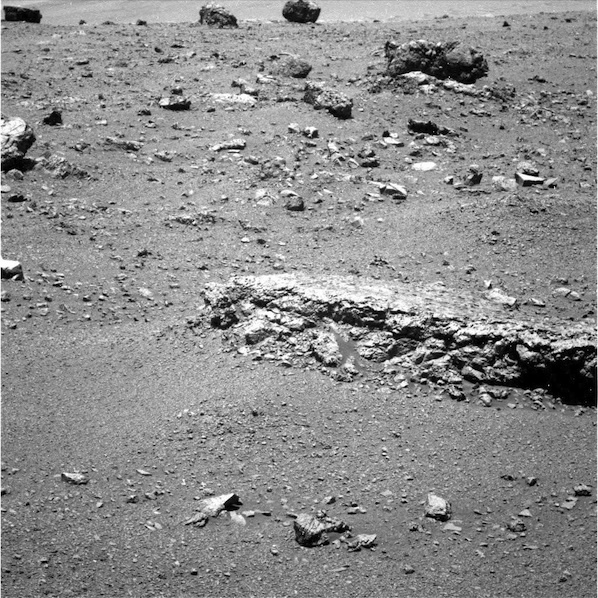 Scientists believe Endeavour crater could harbor geologic evidence that a wetter, more habitable environment once existed on ancient Mars.